Successful project management means having a 360° view of the entire design to production process. To achieve success in your project, there are a number of considerations that must be taken. A complex project includes a huge amount of moving parts, where issues can arise at any point. This can be a difficult challenge for those that don’t necessary have big-picture experience. When utilising 3D Hub as your project management partner, you can be confident that all aspects of your project will be covered. We will work tirelessly to ensure everything is driving toward the common goal of a commercially successful product or solution. We are like an additional insurance policy to ensure the smooth running of your project. 3D Hub have been a trusted partner for businesses requiring project management services for a number of years. We have experience in a whole array of industries and are confident that we can add value to your project and support your goals. Our history of successful projects speaks for itself when it comes to delivering successful results. Good design management will track the design process across all disciplines and coordinate the activities required during each phase. 3D Hub’s experience working with businesses on individual areas of their design and production means that we are able to provide full support for your projects. From design inception, all the way through to production runs. If you feel that you need additional support on your project. 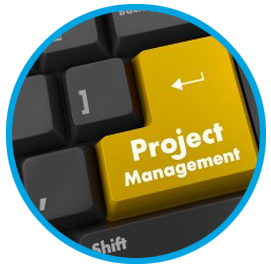 Alternatively, if you have not thought about project management support and don’t know if you should be thinking about it, get in touch to discuss your needs now. We can discuss your project to give you clarity on your requirements and see if you could benefit from partnering with 3D Hub. Terms of Trade | © 2016 3DHub Ltd. All Rights Reserved.